Portland, Oregon. Earth. (March 21, 2019)- Ecliptic Brewing is excited to announce a new year-round IPA. Vega IPA features an always evolving variety of hops with a focus on experimental and never before used options. The beer has been added to Ecliptic’s limited release series and will be available as draft only for the Ecliptic Brewing distribution network. 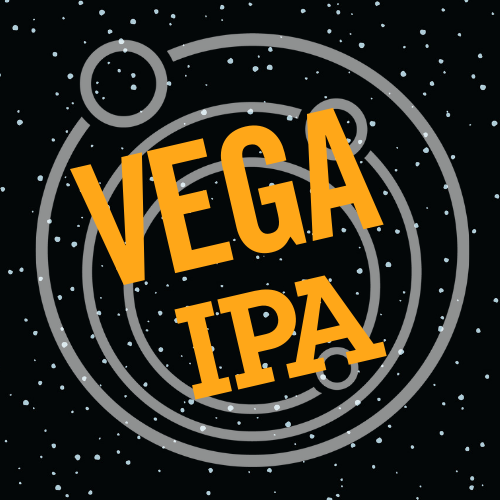 Vega IPA was created both as a way to showcase different hop flavor profiles and to give the Ecliptic brewers a chance to express their creativity. John Harris, Ecliptic Brewing Owner and Brewmaster, said, “Vega IPA gives us a chance to experiment with new hops and try out different combinations to see how they taste in a consistent base beer.” Though the flavor and aroma will change, the ABV will always remain at 6.5%. The first iteration of Vega released was dry-hopped with Cashmere and Strata. Like the bright star, Vega, this IPA shines luminous with always evolving variety of hops. Our brewers work to source the most experimental, delicious, and aromatic hops possible. Batches of Vega rotate based on these experiments.